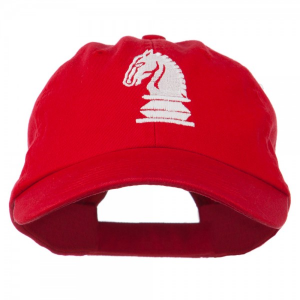 Chess Knight Embroidered Pet Spun Washed Cap - Red at $18.99. Made of 50% cotton and 50% polyester. One size fits most with an adjustable velcrorized strap closure, fitting up to size 7 1/2.